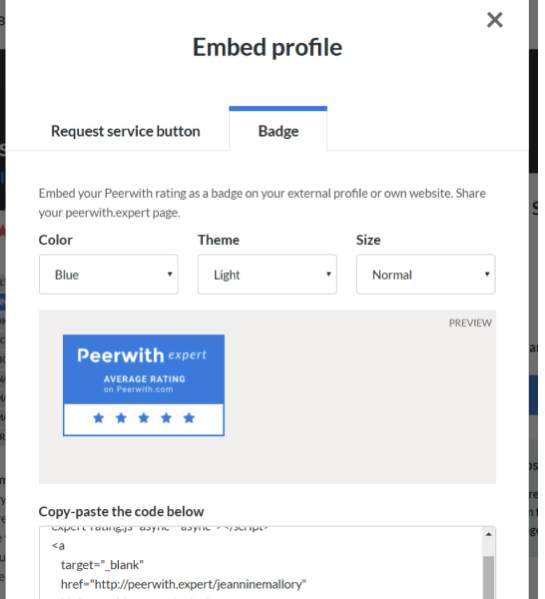 Embed it – peerwith.expert badge! 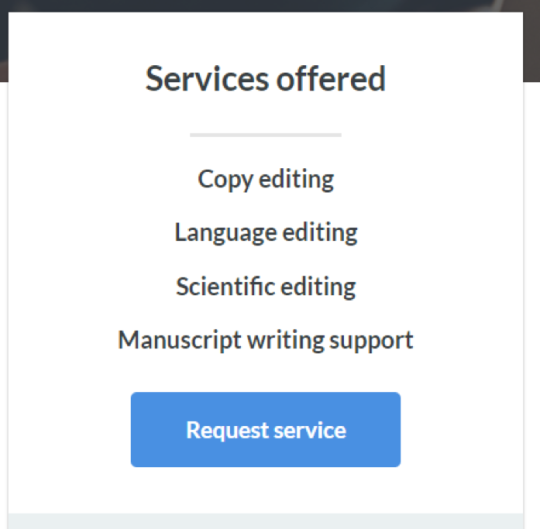 In post 6 of this series, we taught you how to embed the “Request Service” button. In this post, we will talk about a similar function, namely embedding your ratings badge. At Peerwith we feel strongly about empowering experts, which is why we created http://peerwith.expert/ where experts can receive direct service requests. Did you know that now about 30% of the requests on Peerwith originate from the peerwith.expert pages? If you have completed requests on Peerwith before, and received at least one rating, you should see an average rating on your peerwith.expert page. We are very proud that our 3-month-average is still above 4.85 out of 5 stars maximum, actually at this moment, it is 4.94. This is incredible. If you are just as proud of your own average rating, as we are, share it! See that rating average on Jeannine’s page? You should see it on yours too. If you want to share it, you can, of course, copy-paste the value, but you will have to do that every time it changes. Don’t want to do that right? 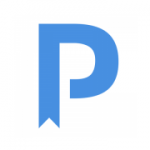 We make it easy for you to share your peerwith.expert star rating as a badge. In order to do this, go to peerwith.expert, and look for “Embed profile” in the top right corner. Noticed that little button? Now, click it to open a modal dialog with two options: “Request service button” and “Badge”. Let’s take a closer look at option two, “Badge”. You can set the color of the button, its theme and size. The preview shows what the badge will look like if you embed it. Please note: the stars in this badge are shown real-time. This means that if it changes on Peerwith, it will change in the badge too! If you are happy with what you see, copy-paste the code below. Now, go to your other profile page, website or homepage. You probably have some sort of Content Management System (CMS). Look for options to “embed” code or copy-paste HTML code. Use that, copy-paste the code from Peerwith, and you are done. The result shows the peerwith.expert badge on your own website with a link directly to your peerwith.expert page. Be proud on your ratings, share the badge!